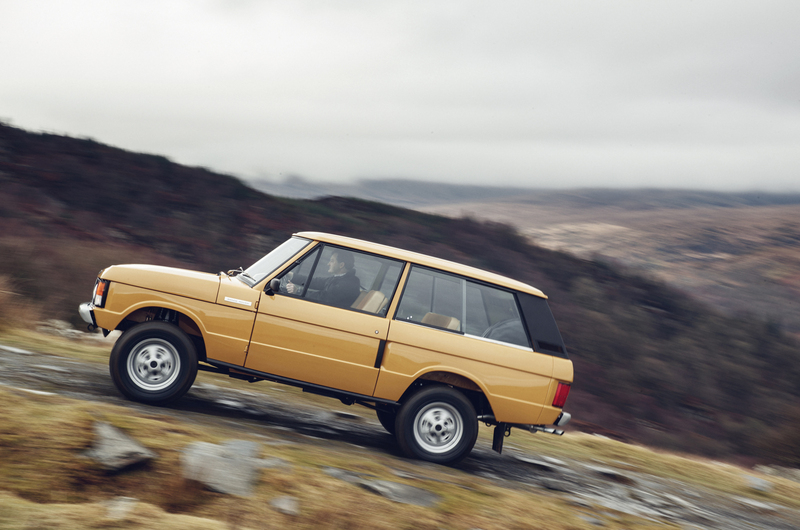 The first Range Rover Reborn model to come out of the Land Rover Classic programme has been revealed. Based on the first two-door version that was launched in 1970, the car is a Bahama Gold-coloured 1978 model. It’s been restored to exact original specification using Land Rover Classic parts and period production techniques. The car features a 3.5-litre V8 petrol engine, which uses Zenith Stromberg carburettors to produce 132bhp at 5000rpm and 186lb ft of torque at 2500rpm. Drive is sent to all four wheels through a four-speed manual transmission with a lockable central differential. The car’s technical specifications are exactly as they were when it left the factory nearly 40 years ago. 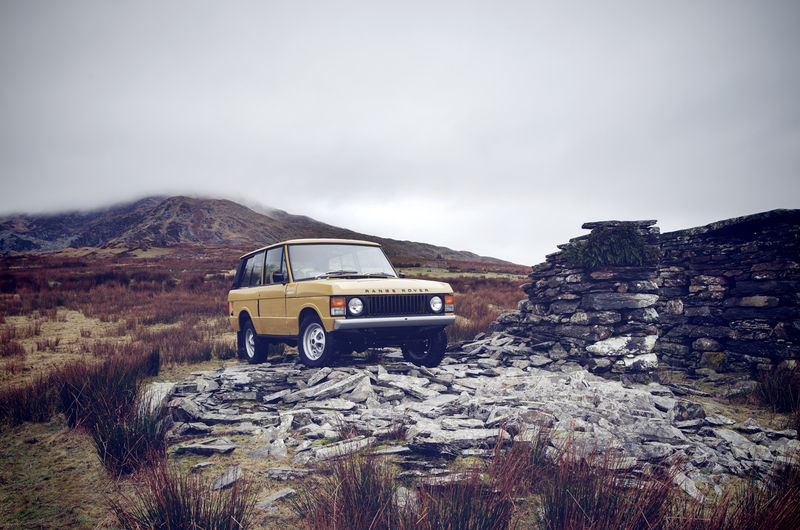 Today’s model is the first of 10 to be restored by Land Rover’s specialist division. Each model is created for buyers who can purchase them from £135,000, which is close to £35,000 more than a new V8-engine Range Rover. Sister brand Jaguar Classic also showed one of nine restored XKSS models and the first restored E-Type Fixed Head Coupé alongside the Range Rover in Paris. God, what a superb design. Look at it. I mean, just look at it. 1960s tech - what can go wrong? One for the rose-tinted nostalgiasts who refuse to believe that 50 years of development is a good thing. Very pure design. Superb. A rare thing these days. Designers can't stop meddling with little creases and embellishments. Of course, they didn't have to make this old thing pass the NCAP tests, so it has slim windscreen pillars. to when these were the dogs'......... We'd load up the beast on the weekend ferry at Liverpool brave the Irish sea with many pints of Guinness and then race (and I mean race) to County Cavan for weekends of swimming in the loch, playing backgammon and drinking more Guinness in the day time and fly-fishing after dusk. I can't remember sleeping. Staggering to think it had just 132bhp. Certainly seemed fast enough on the damp, narrow roads of the borders. Dangerous times around there of course and we finally had to stop going. As much as the memories make me smile, I'm not sure my heart could persuade my head that an investment of £135k would be very sensible. How restored is it, does it have it's original engine gearbox etc ie match it's original build or are they non matching New/refurbished items, is it effectively a new car? Either way I like it but I know originality holds some sway in the classic car scene. I like what Porsche did recently to celebrate the 40th anniversary of its transaxle cars, it had a competition and set dealers the task to restore transaxle cars which they did from standard 924's to turbos, 44's and 68's etc, all were done to extremely high standards and are great to see and for the lucky, own. You just have to wince at the output, 132 bhp and 186 lbft - revered at the time but now exceeded by a Hyundai 1.7 CRDi at 134 bhp and 240 lbft. Never to be driven, just used as a speculator for a handsome return in a few years time. makes you wonder what a 2 litre output would have been then, a 1400 engine now has more than that old v8.i bet that old v8 probably got 10 mpg and not the 16 to 22 of today.